Alex hails from the rolling hills of Walnut Creek, CA. After graduating from Colby College in Maine with a degree in environmental science and failing to acquire a postgraduate job surveying for the endangered Sierra Nevada yellow-legged frog, he made his way out to Jackson. In the winter you can find him skiing and working over in Teton Village. In the shoulder seasons Alex works in California as an outdoor environmental educator and plays in the desert and mountains. This summer he has decided to give up the luxurious life of a Barker-Ewing van guide to hop on the oars as a raft guide. In his free time, Alex also enjoys climbing, fishing, doing arts and crafts and eating rice and beans, the staples of his balanced diet. Austin grew up in the lush, wild and wet Pacific northwest in Bainbridge Island, WA. 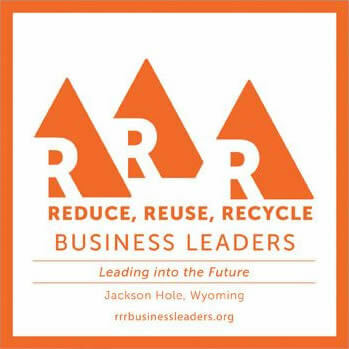 He attended the University of Montana and graduated with a degree in Ecology. 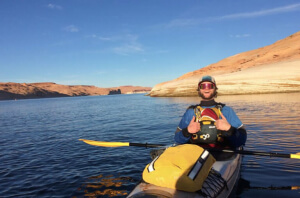 Upon graduating, Austin has spent his time traveling bits of the world doing everything from snowboarding to surfing and rock climbing in South America, SE Asia and the beautiful US of A. In the shoulder seasons, he works for an outdoor education company called Naturalists at Large, where he can hone his wild flower identification skills and S’more making tactics! Billy grew up in Dover, Massachusetts. He’s the oldest of five kids, with three younger brothers and a younger sister. After learning to snowboard when he was 10, Billy joined the middle school ski club and continued honing his skills during weekend getaways throughout various parts of New England in his high school and college years. In the summers Billy spent his time landscaping, playing pick-up sports, and traveling to the Cape for a couple weeks every August. Billy attended Colby College, located in Waterville, Maine, where he majored in Philosophy and minored in Mathematics. 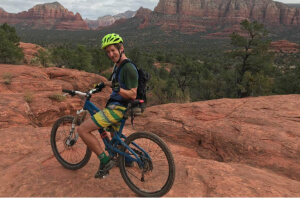 After graduating, Billy moved out to Jackson where he now spends his free time biking, rock climbing, going for hikes, and floating the river. Daniel has lived in the Teton valley for the last 4 years. He studied geology in college and retired from his short-lived career as a scientist at the ripe age of 25. He is a gypsy by blood, calling nowhere home, and the allure of the Tetons has kept him in a wonderful limbo. 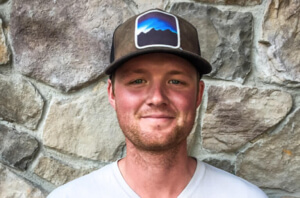 He works at Grand Targhee resort year round as a bike/ski patroller and works for NOLS as a instructor in their whitewater program. You might run into Dan in the Tetons running, biking, skiing, climbing, dancing, or kayaking. He’s worked at Barker-Ewing for the last 4 summers and is excited to share the magical Snake river with you! Josh was raised in Alaska and completed his bachelors degree at Colorado Mesa University. This is his fifth year guiding. 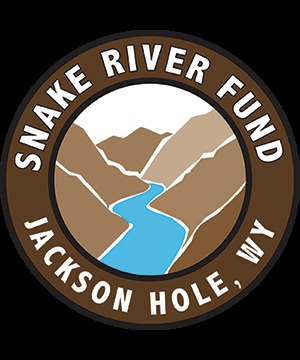 Josh has worked on rivers throughout Colorado, Utah, and Wyoming. In his time off he enjoys hiking, climbing, more rafting, and big cups of coffee. JP likes to think he was born in a canoe, but it really all started in Wilmington, Delaware. He graduated from St. Lawrence University in 2015 with majors in English and Environmental Studies and a minor in African Studies. While studying abroad in Kenya in 2013, JP spent three weeks kayaking the headwaters of the White Nile River in Uganda. In the winters, JP works at a kids’ retail and rental shop, and still somehow manages to ski everyday. After spending 6 summers guiding canoe trips in Algonquin Park, Ontario, this will be JP’s second summer guiding for Barker-Ewing. One day he wants to start a small ice cream truck business but also serve poutine out of it. Keegan is originally from Cape Cod and he is no stranger to cold water. He grew up surfing in the frigid North East. Along with surfing, Keegan is a passionate snowboarder and climber. 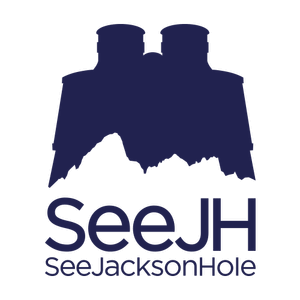 He followed these passions out to Jackson Hole 5 years ago and has been exploring the west ever since. His love for the ocean along with the lack of salt water led him to become a river guide. 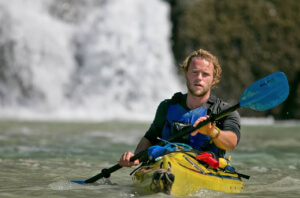 He has been exploring whitewater across the globe ever since! Kevin was raised in a small town in New England, then lived in Colorado for 5 years while attending school and working for the forest service. Kevin has now been in Jackson for 3 years. He is a snowboard freeride coach in the winter and a river guide in the summer. Kevin is also a big camper and outdoor enthusiast. 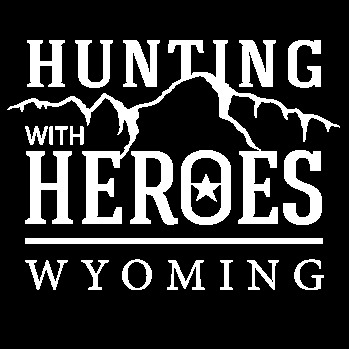 Lorraine was born and raised in Livingston, Montana. After graduating with a degree in Psychology, she began working as a research associate for the University of Montana. Soon after, she moved to Jackson to make outside a “part of life” rather than an escape from it. In her free time, she likes skiing, hula hooping, and eating pineapple pizza (not always at the same time though). This is Lorraine’s third summer guiding for Barker-Ewing — in fact, she’s probably already down at the river airing up the Lorraine-Train for its next adventure. Megan is from Whitefish, Montana and grew up wandering the forests and skiing at Big Mountain. 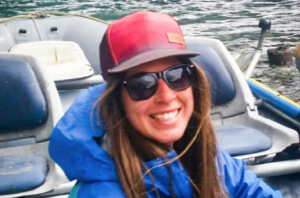 After getting a degree in Outdoor Education at Idaho State University, she has been spending time exploring the outdoor recreation field. 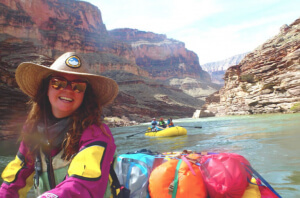 The beginning of her rafting career started in Glacier National Park and continued on to adaptive rafting programs in Oregon and Montana. Apple has been exploring the West skiing, backpacking and floating wherever she can. Next summer she has her sights on completing the Pacific Crest Trail…wish her luck! Nick grew up on a small farm in Pennsylvania then moved west when he was 19 to go to Whitman College in Washington. 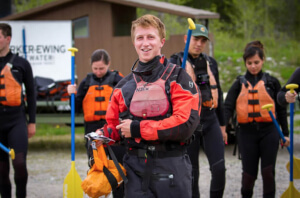 While in college and after graduating, Nick spent four summers guiding up to 50 day river trips in Canada for an organization called Menogyn. Nick moved to Jackson two years ago and this will be his second summer working for Barker-Ewing. When not guiding river trips, Nick designs outdoor apparel for a company called Rinord that he started a little over a year ago. In his free time you will find him fishing, paragliding, hiking or plotting river trips in northern Canada and Alaska. Robin was born and raised on a reindeer farm in Fairbanks, Alaska. She went canoeing for the first time when she was five days old and has been a water person ever since. After five years of guiding boats down Alaska’s frigid glacial rivers she decided to move south and see what the Snake River was all about. Robin attended the University of Montana and has a degree in German and wildlife biology. In the winter she’s a ski instructor at Jackson Hole Mountain Resort. Will was born and raised in Atlanta, GA. Although he grew up a city boy, he has always had a passion for the outdoors. 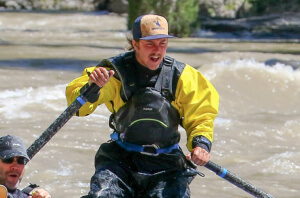 After graduating from Purdue University studying mechanical engineering, he traded a life of computers and numbers for a life of mountains and rivers. 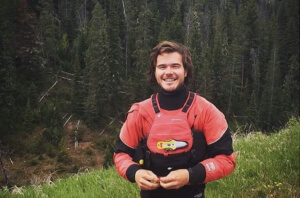 He has been living in Jackson for 5 years, spending the winters in the mountains as a lift operator for Jackson Hole Mountain Resort and the summers on the river as a guide for Barker-Ewing. Born in Saipan and raised in the Hawaiian islands, Zack is a fun and exciting guide! He loves the outdoors, especially water sports. 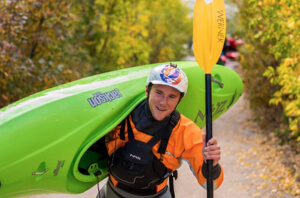 Whitewater kayaking and rafting are some of his favorites. The wildlife, people, and adventures are what keep him in Jackson. 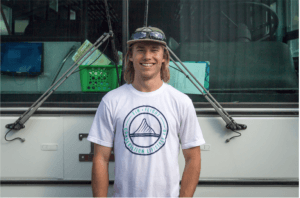 With a degree in business and environmental science, and a drive for excelling in the outdoors, he is sure to know the joys and wonders that Teton county has to offer. 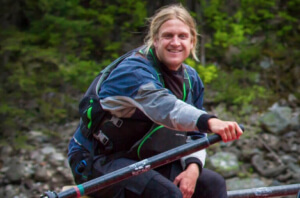 Originally from Weare, New Hampshire, Blake graduated with a degree in Adventure Education at Plymouth State University. A huge Boston sports fan, Blake’s dream has always been to catch a home run ball at a Red Sox game, but any major league team will suffice. During the winter, you can find Blake making snow for Jackson Hole Mountain Resort. This is Blake’s 8th summer working for Barker-Ewing. Did you know… Blake’s choice of music is Billboard Top 40! When asked what he loves to do in his free time, Blake says “I do it all”. What a well-rounded guy.